I don’t seem to be good at losing weight. Or rather, I’m not that bad at losing weight, but I’m also pretty good at gaining it, too. 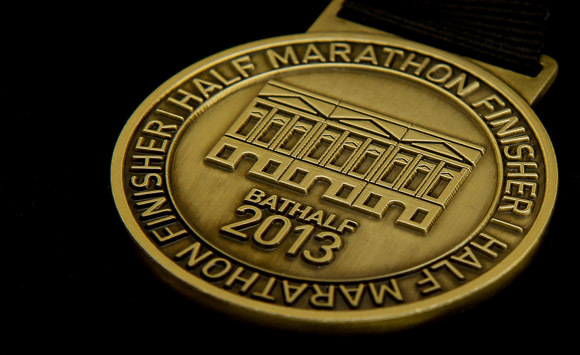 For the Bath Half, I was at the lightest weight I’ve been for any half‐marathon I’ve ever done, I think; I am gradually reducing. But it’s very much a three‐steps‐forward‐two‐steps‐back pattern. This is bad, because if there’s one thing that would make me faster at running, and reduce my likelihood of injury, and have lots of health benefits, and so on, it’s getting a bit lighter. So. Having had my post‐half‐marathon break, it’s time to get back to running. It’s also time, I think, to be a bit more formal about my weight loss than I’ve been over the last few years, and get some practice at consistently losing weight, rather than reducing for a few weeks, piling most of it back on, reducing again, and so on. 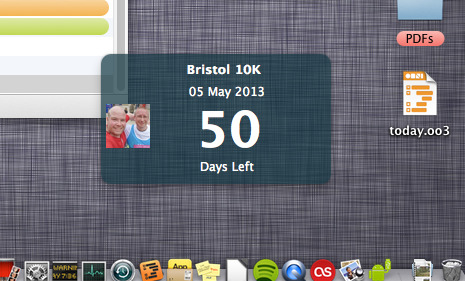 It’s a countdown to the Bristol 10K. Tomorrow there will be 49 days — exactly seven weeks — to go. If I were to carry on at my current rate, I’d probably only be a couple of pounds lighter by then. Instead I’m setting what should be a perfectly achievable target of losing seven pounds. If I manage that, I’ll be the lowest weight I’ve seen since I bought a Withings Body Scale a couple of years ago. And a few pounds below the weight I was for the last 10K. The little desktop widget is part of my strategy. Being a programmer, I’m in front of the computer a lot, so that little widget should be a near‐constant reminder of what my target is, and how long I’ve got to go. I’m hoping it helps, and I’m hoping I’ll think of a few more ideas to keep my mind on the weight loss. 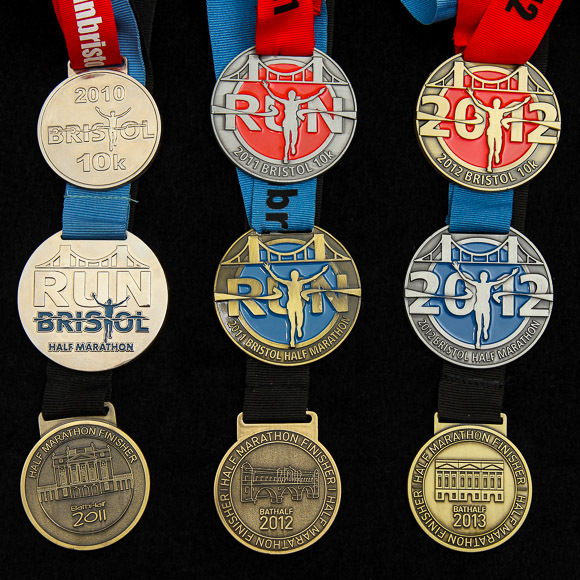 I’m playing blog catchup today, because I’ve been for a couple of runs since the last entry. Yesterday I went out without much of a route in mind, just with the idea that I wanted to run a bit further. I started off down the Portway again, with the idea of maybe doing a bit of out‐and‐back before heading up Bridge Valley Road. In the end, I made it out to just past Sea Mills, and then decided to follow the signs for the Zoo, up Sylvan Way, on the grounds that heading for the Zoo would take me to the Downs. And so it did, up a very long hill (well, there had to be one somewhere), past Stoke Bishop along the Shirehampton Road and Parry’s Lane, to emerge at the entrance to Wills Hall. So, pretty enjoyable. And my longest run of the year so far. Hurrah! 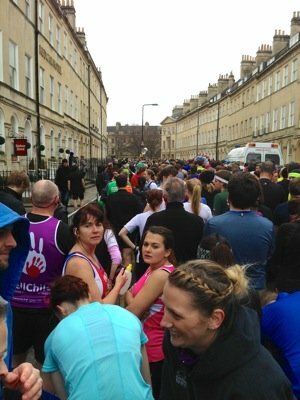 I’ll leave you with a photo of some people I saw on a route I won’t be taking. 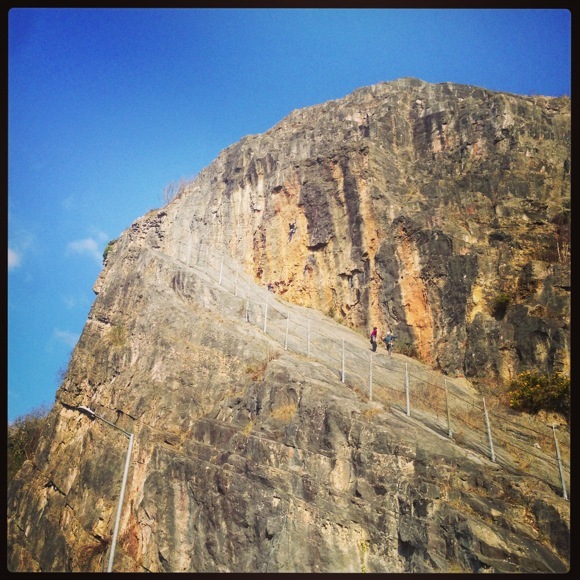 Crazy Avon Gorge climbers! Well, it scratched an itch I had, and didn’t take long to write.